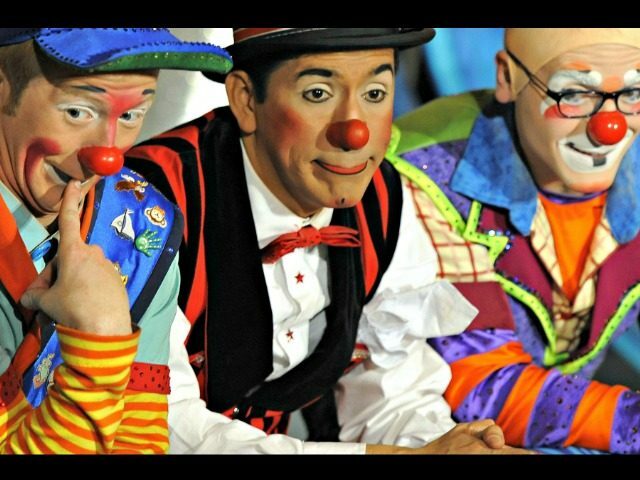 Steve Lough, a Democrat who worked for the Ringling Bros. Barnum & Baily circus, is seeking to unseat Republican Rep. Ralph Norman in South Carolina’s 5th Congressional District. 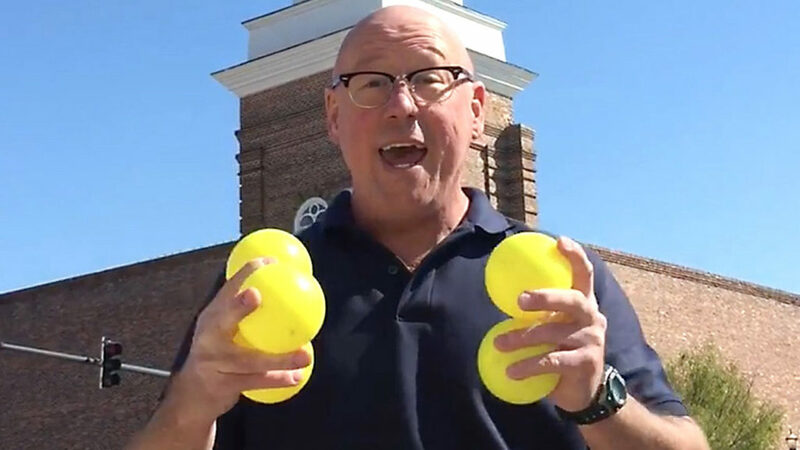 In a campaign video on YouTube, Lough juggles five yellow balls (to represent the 5th district) but does not say anything in the ad about where he stands on any of the issues politicians are bouncing around ahead of the midterm elections. Steve Lough, who has worked for Ringling Bros. circus, is running for the Democratic nomination in South Carolina’s 5th Congressional District. His campaign website is registered under the domain clownforcongress.com, which includes a photo of him in clown makeup and videos of him juggling, asking South Carolinians to get out and vote in the June primary. His campaign signage features the “o” in his name as a red clown nose. Lough is one of three Democrat candidates who want to take on Norman in the midterm election. Norman was a real estate developer before he won the seat formerly held by Mick Mulvaney, who was appointed by President Donald Trump to run the Office of Management and Budget. “Norman eked out a 51%-48% victory against Democrat Archie Parnell, a former Goldman-Sachs managing director and ex-tax attorney for ExxonMobil, in a district that Trump won by 18 percentage points in 2016,” CNN reported. Parnell will try again for the House seat if he can beat a clown and the third Democrat, reported by CNN to be Mark Ali, who says on his Facebook page that he’s a former illegal alien. Ali calls himself a “progressive Democrat” on the Facebook page. Lough, however, has done more than study at the now-defunct and famous B&B clown school, shut down along with the circus after years of harassment by animal rights activists. According to the bio on his campaign website, Lough was raised by a single mom after his father died, earned a degree in anthropology from Dartmouth, and was a circus clown for 30 years. “Living on the train, touring America by rail, and working with performers, both human and animal, from all different parts of the world was the best education of all!” the bio states. Lough’s website also reveals he is a left-wing clown who worked for the Barack Obama campaigns in 2008 and 2012 and was inspired to run for office because he is a fan of Bernie Sanders and his push for single payer health care.